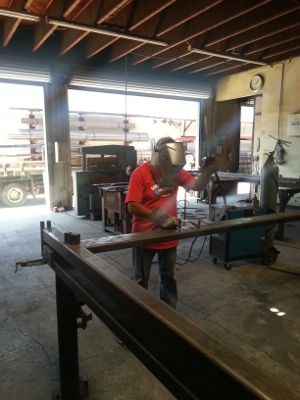 *Please note that all the work we do uses solid steel or steel tubing, we do not work with stainless steel, aluminum, or copper. Columns and I-Beams (S-Type of Wide Flange) installation via blueprint details for 1 to 2 story buildings. Steel Stairs (typically with Steel Channels). We can help your ornamental business grow by helping you cut costs by outsourcing parts of your project to us. We can provide any of the following and a lot more.